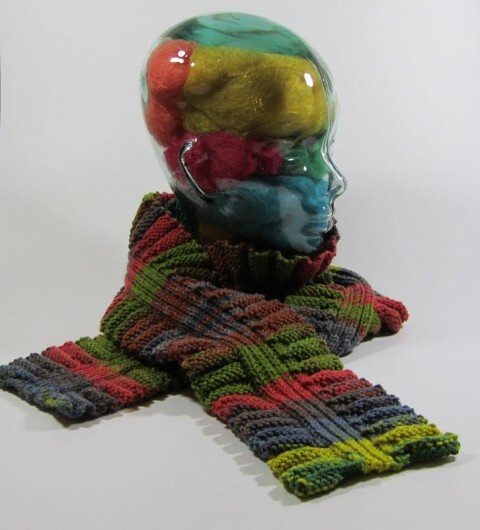 This is Susan Mills’s Molly Scarf. The pattern is part of Classic Elite’s booklet #9114. I don’t often knit patterns in exactly the yarn called for, but this superwash, worsted weight printed Classic Elite Liberty Wool seemed exactly right for this project. It was my first time using Liberty Wool. Good yarn. I’d definitely use it again. Looking at the finished scarf in a shop, I couldn’t figure out how it was knit. Clearly short rows, but it just looked quite the mystery to me. I won’t spill the beans here. But prepare yourself for a FOUR row pattern. Yep. Four rows, over and over and over. The scarf is reversible. But each side of the ruffle is different. And the sides are flipped along the ribbed spine of the scarf. This is a situation where one photo is definitely worth a bunch of words. 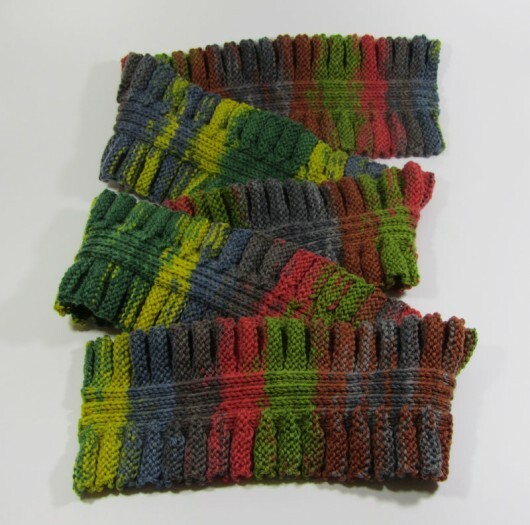 This entry was posted in Knitting and tagged Classic Elite, Liberty Wool, Molly Scarf by Noreen. Bookmark the permalink. Oh my gosh, I’m completely intrigued! @Evelyn…the booklet has a few other cool accessories…but it’s worth the modest price just for this one.